One of my yoga students, Bahram Moterassed, has an established psychotherapy practice that combines Western and Eastern techniques. 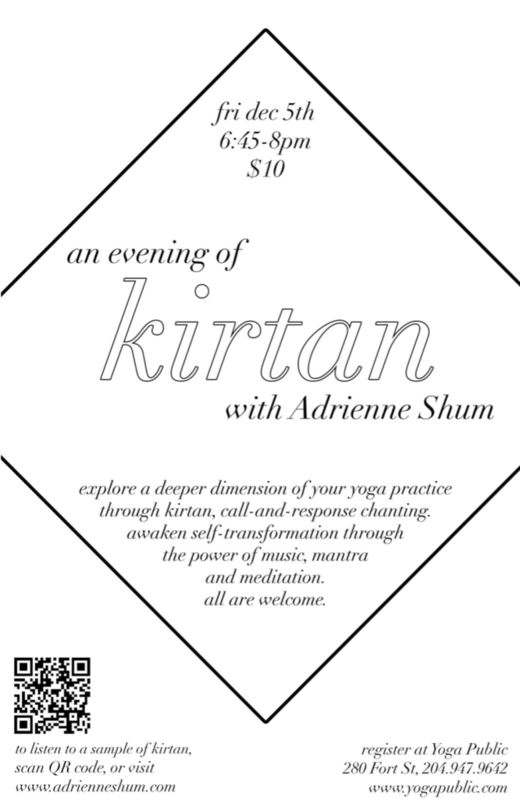 In the spring he asked me to lead a Kirtan for him and his meditation students, and we are doing another to start off 2015! Of course, anybody is welcome to join us. It will take place on January 9th, 2015, 6-8 pm, at 3-1200 Portage Ave (in the Mediation Services building), Winnipeg ($10 suggested donation). To get in touch with Bahram, please email him at contact(at)maykadeh(dot)org. Hope to see you there! 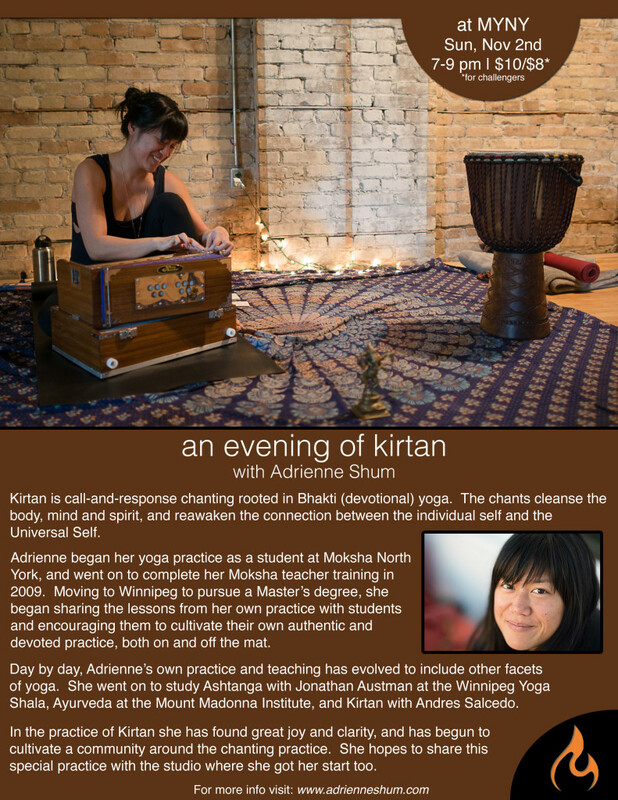 vinyasa flow + kirtan fundraiser for Fierce Grace. To heal the world, we have to heal ourselves first. Please join Lorna Parashin and I as we guide a special practice to support a global fundraiser for the Fierce Grace Foundation, started by One Yoga. All proceeds will go towards supporting youth-oriented yoga programs. I will start us off with Kirtan, and then Lorna will lead us through a lovely vinyasa flow practice. The donation-based event will be on Saturday July 19th, 5:00-6:30 pm, at Yoga Public.